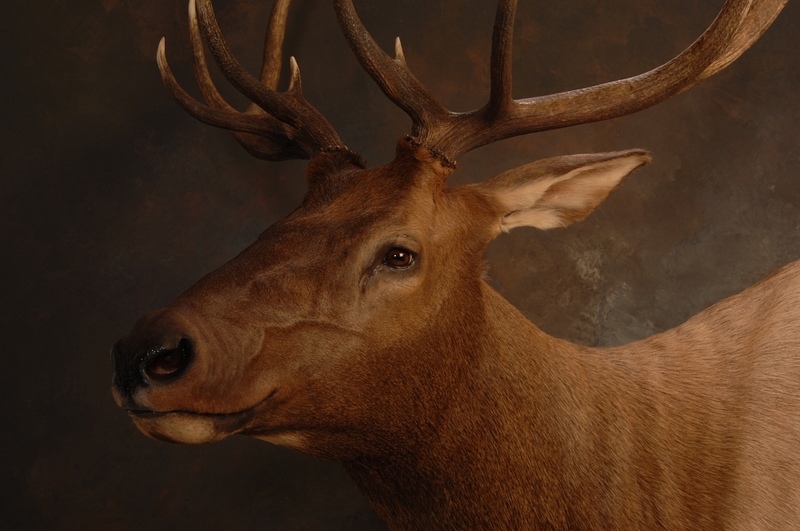 WE ARE A FULL TIME TAXIDERMY SHOP LOCATED IN SOUTH CENTRAL LOUISIANA, 50 MILES WEST OF NEW ORLEANS AND 60 MILES SOUTH OF BATON ROUGE IN THE CITY OF HOUMA. 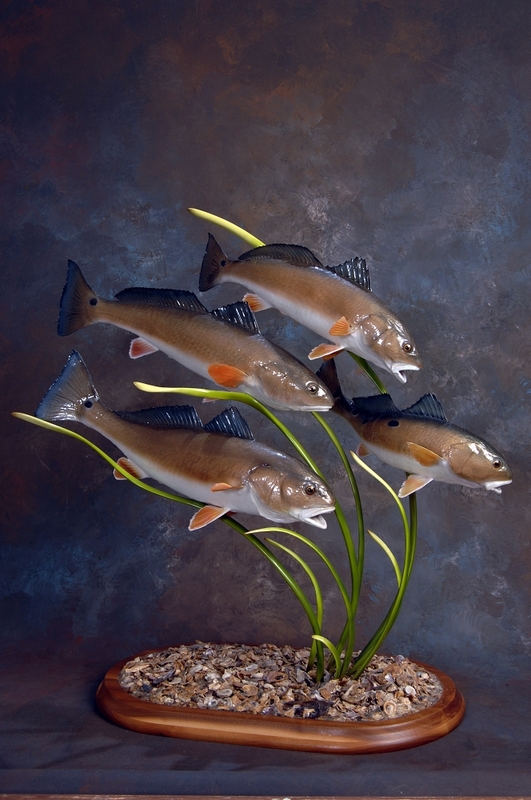 BEING AN AVID BOW HUNTER AND FISHERMAN I KNOW AND UNDERSTAND WHY WE MOUNT OUR TROPHIES. EVERY TIME I LOOK UP AT ONE OF MY PIECES IT TAKES ME BACK TO THAT PLACE AND TIME . I GET MUCH SATISFACTION KNOWING YOUR MOUNT WILL HAVE THE SAME EFFECT ON YOU. WE SPECIALIZE IN ALL AREAS OF TAXIDERMY FROM LIFE SIZE, TO SHOULDER MOUNTS, BIRDS, SMALL MAMMALS, TANNING, SKULL CLEANING, RESTORATION, CUSTOM PIECES, AND HABITATS. WE CAN HANDLE ALL YOUR TAXIDERMY NEEDS. 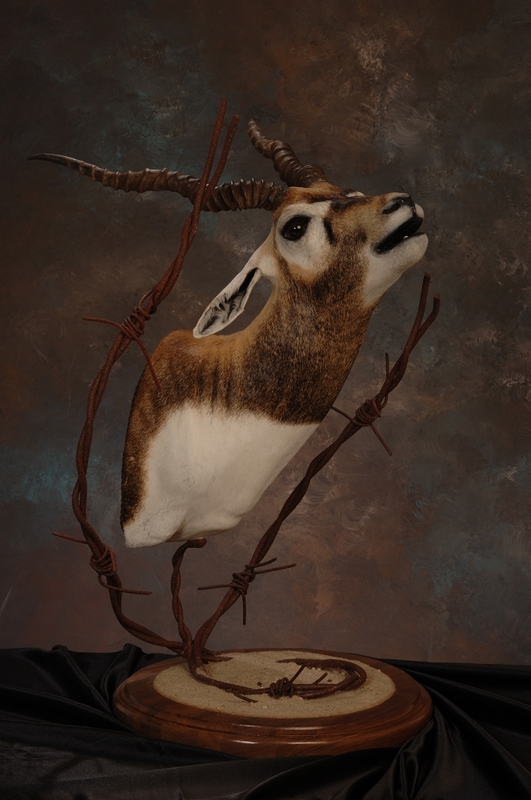 JOE HAS BEEN PRACTICING TAXIDERMY SINCE 1990 AND OPEN OUR NEW SHOP IN 2000. HERE AT JOE'S WE CONTINUE TO EDUCATE OUR SELF ON THE MOST MODERN TECHNIQUES BY ATTENDING TAXIDERMY SHOWS, SEMINARS, AND MINI COURSES TO INSURE THE BEST MOUNT POSSIBLE. WE ONLY USE THE FINEST MATERIALS AND SUPPLIES. HERE AT JOE'S WE ARE COMMITTED TO OUR LOCAL SPORTSMAN AND NON-RESIDENT ALIKE. IF YOUR PLANNING A HUNTING OF FISHING TRIP TO OUR AREA AND BAG OR LAND THAT TROPHY OF A LIFETIME. 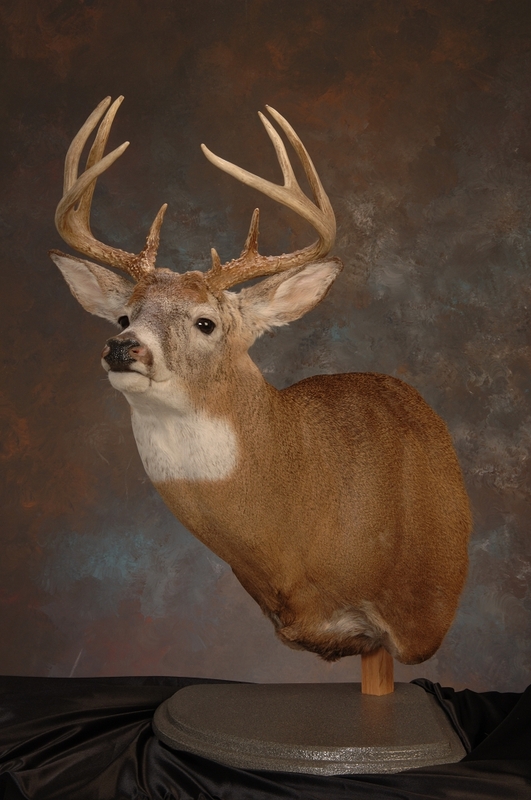 WE CAN MAKE ARRANGEMENTS TO RECEIVE OR PICK UP YOUR TROPHY MOUNT IT AND SHIP IT TO YOUR DOOR. 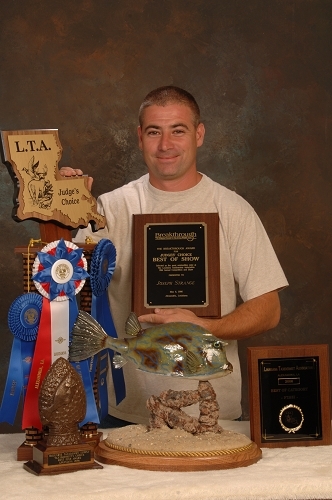 2003-LOUISIANA CUP - FOR BEST FISH NATIVE TO LA.